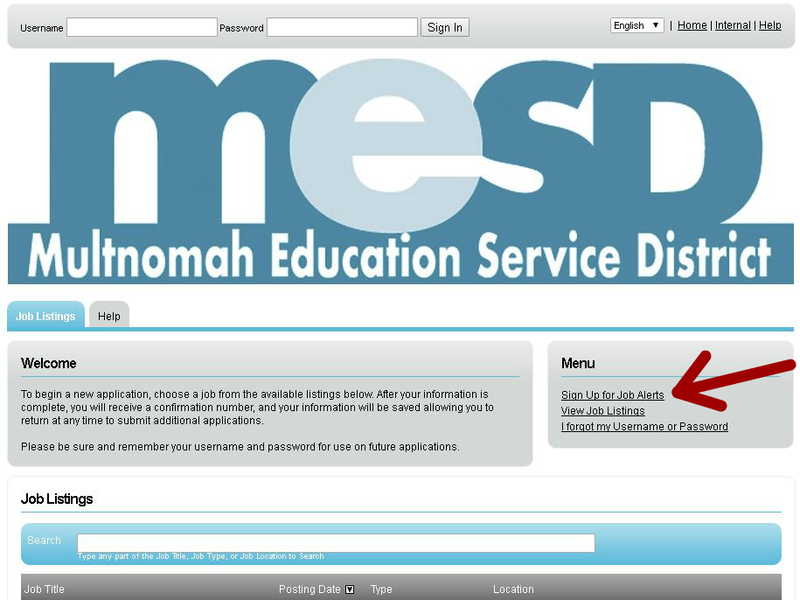 Go to the MESD Job Listings Page and click the link to sign up for job alerts. You will receive a weekly e-mail indicating job postings that have opened that week, and job postings that are scheduled to close that week. Positions for Outdoor School will have "Outdoor School" in the job title.